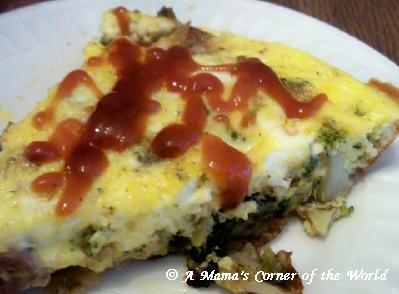 We create a lot of egg dishes here in A Mama's Corner of the World! Eggs find themselves starring in breakfast, lunch and dinner recipes--and our readers have a number of favorites. As our letter E entry in the Blogging from A to Z Challenge, we thought we would share our 5 most popular egg recipes. E is for Egg! We loaded this brunch frittata with seasoned, grilled steak and potatoes--and served with our favorite steak sauce. It was a huge hit with our steak lovers! We added a Southwestern twist to sausage and eggs--and wrapped it all up in a warm, flour tortilla. This breakfast burrito with sausage is one of our personal favorite, on-the-go, breakfasts! This egg recipe looks difficult (and serves up beautifully)--but, is actually really easy to make. This is one of our favorite Mother's Day brunch recipes! This popular egg recipe is pretty and functional--it even makes its own crust! 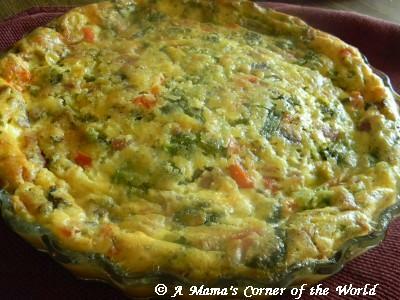 This is a great recipe for easily using Easter or Holiday leftovers and is one of our Pinterest favorites. These quick and easy breakfast sandwiches ranked as our most popular post for several weeks--who can resist bacon? We obviously cannot and these sandwiches traveled with us on our last weekend roadtrip. So much better and fresher than fast food stops! What was the main post photo? 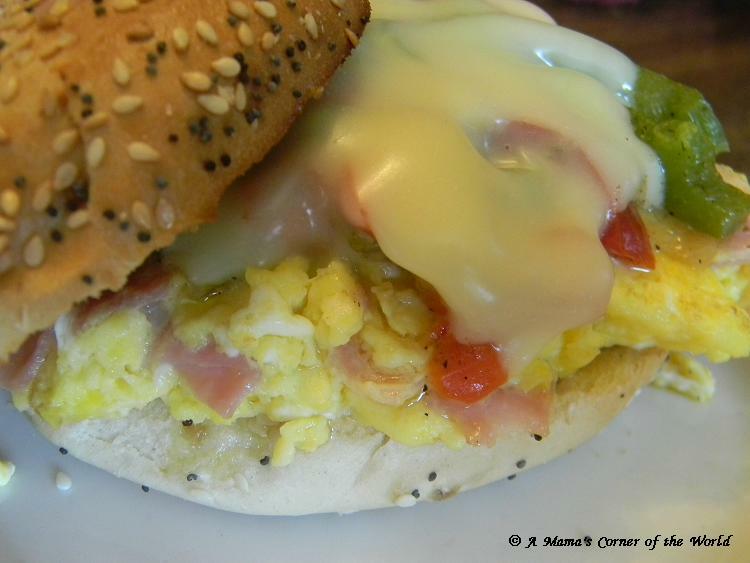 That was our Ham and Swiss Bagel Sandwich--it wasn't one of our five most popular egg recipes--but, it was (and is) a family favorite! The egg dishes look great. Realy delicious. You need to specify what letter you are posting about. At first I thought I was on the wrong page and clicked back and forward.